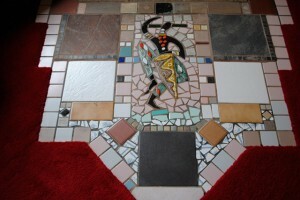 The Love Shack cottage is named after the famous song by the B-52′s and lives up to it’s name. 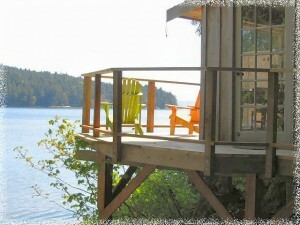 The Love Shack is perched over the calm waters of Fulford Harbour and in sight of the Gulf Islands National Park. At low tide, walk for miles on the beach and search for sand dollars. Watch the herons, eagles, otters and harbour seals from the comfort of your bed. Situated on a private beach, the Love Shack cottage is a favourite with honeymooners and those celebrating an anniversary in total privacy, or those just wanting a romantic weekend getaway or intimate retreat. The suspended deck extends right to the water’s edge and contains a two person soaker tub. The Love Shack cottage has a private fenced yard with its own access to the beach. Inside, a double bed looks to the ocean view and a fireplace stove. This shagadelic, romantic getaway is also equipped with a stereo with cassette deck and yes, a record player… the place IS groovy. 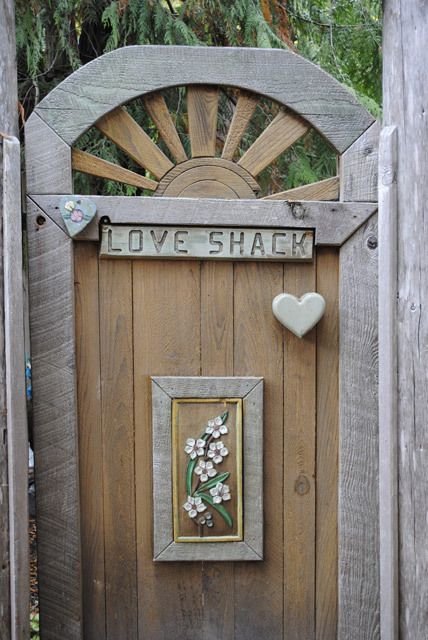 Please call us to book The Love Shack cottage now…1 (866) 341-0007 or visit our contact page. It's our third wedding anniversary and we are in heaven. This is my favourite place. Like our marriage this place just keeps getting better. Spending our wedding night at the Love Shack was the perfect start. It's peaceful and beautiful, but it's also private, simple, quiet and totally delicious. The details... fresh fruit, flowers, old cameras, candles, coffee, old knobs, driftwood, artwork, mini statue of David, and the bath tub - oh yeah! 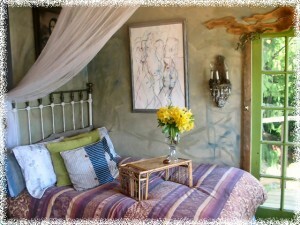 The Love Shack celebrates all the right things and beats any fancy hotel or spa hands down. Did I mention the view? I love waking up in the middle of the night to the bright moon reflecting of the ocean. The Love Shack Rules. Thank you Peter and Lynda, see you again next year... or sooner. 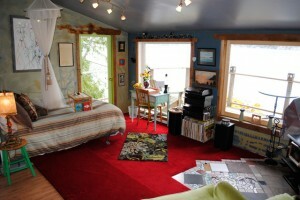 Salt Spring Island rated -"Top 10 art town in North America"